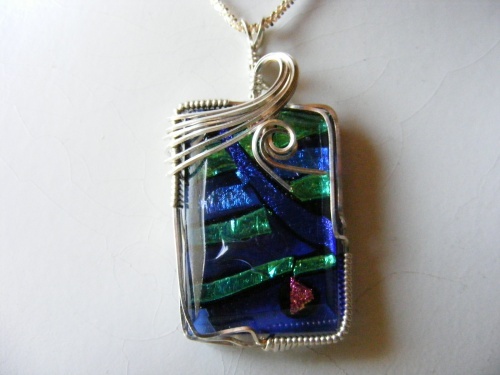 This unique piece of hand made dichroic glass is sculpted in argentium silver swoops and curls. Very unique with colors of blues, greens and some pink. Comes with a sterling silver chain.